Loaded with all the latest features, our next variety is Mapping & Gis Systems. The company has a team of professionals who make use of their expertise and present an excellent range of Mapping & Gis Systems. By keeping track of the market demands, we bring forth our product with different technical specifications. Buyers can consider our name for cost effective solutions. Aimil offers GNSS Feld Computer, Juno Series, Normad 900G Series, Yuma Series, GNSS Receiver, Field & Office Software, Reference Station and related products & support. GNSS receivers : Trimble Pro series - Trimble® pro series receivers deliver unparalleled freedom of choice in professional GIS data collection. 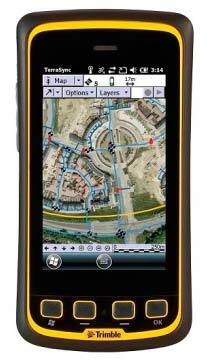 Handheld computers : Trimble RECON handheld - as tough as ever with an ip67 rating, it’s impervious to water and dust.